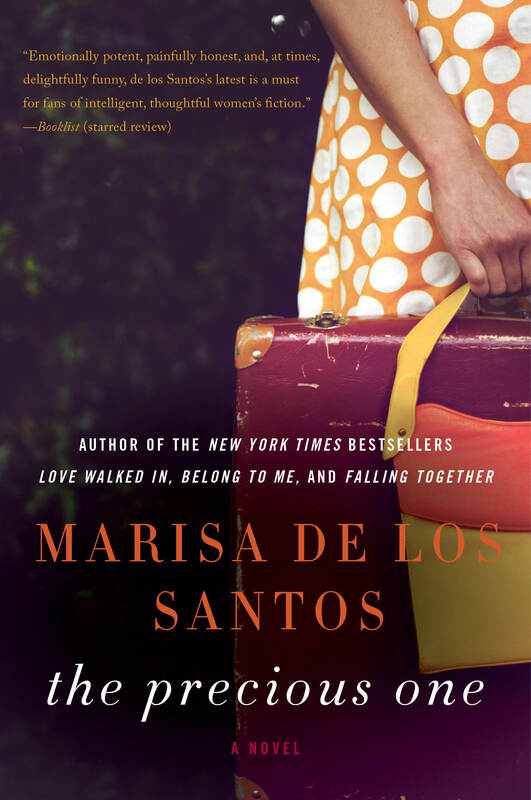 I fell in love with Marisa de los Santos’s debut novel LOVE WALKED IN, and have read and loved every book she has written since. Her latest novel, THE PRECIOUS ONE has just been released in paperback. We are absolutely thrilled to have her as a guest on The Debutante Ball. Enjoy the interview! Where do you love to be? Home, which might sound weird because I live in Delaware, for heaven’s sake. It’s lovely but it’s not Paris or Hong Kong or San Francisco or Manhattan. And still. I admire restless, curious souls who are hungry to see the world, and I’ve certainly had traveling experiences that were moving or life-changing or just really fun, but I love being home. I love coming home after a trip, no matter how spectacular the trip was. New cultures and food and architecture are great, but for me place is always people. Home is the people I love, the people I drink coffee with and kayak with and hike with and watch endlessly long swim meets with. When I lie in bed with my family and dogs sleeping under our roof, under our piece of sky, every bone in my body settles into precisely the right place and anything good–or even miraculous–seems possible, and I understand that this is my adventure, my great thing. What’s your secret or not-so-secret superpower? I think in metaphor, automatically. I see something interesting (or interesting to me anyway) and immediately associate it with something else and then the sentence describing the comparison arrives in my head. A fox caught in a beam of light is a long pour of neon paprika. An orchid has a little panting face. Someone’s eyelashes are like tiny whisk brooms. The first sentence of The Precious One includes “a sky the color of moonstones and raspberry jam,” which is what I thought one morning when I looked out my back window at the sky. It’s not a gift that will save the world or anything, but it enriches my life and makes my head a more interesting place to spend time in than it otherwise would be. Share one quirk you have that most people don’t know about. Every single night of my life before I go to sleep, I read at least a few pages of one of the books I loved as a kid. Or, I should say, one of the books I first learned to love as a kid because I definitely still love them. The whole Anne of Green Gables series, Elizabeth Enright’s four Melendy books and two Gone-Away Lake books, The Chronicles of Narnia, Little Women, The Secret Garden, Trixie Belden mysteries. I’ve gone through an incredible number of copies of all of them because I read them to bits. Even if I read whatever adult novel I’m currently reading first, for a few minutes before I go to sleep, I read a childhood book. I almost know them by heart, but it doesn’t matter; they always feel new and make me happy. They’re what I do instead of yoga or anti-anxiety meds or therapy. Quirky, right? Share something that’s always guaranteed to make you laugh. People falling down. I’m a huge fan of 1930s screwball comedies, and while I adore them for so many reasons (witty banter might top the list), the falling down makes me insanely happy, especially when the people who do it are the most elegant people to ever live. Luckily, my husband and kids love this, too. We’ve seen Bringing Up Baby at least six times, and still, every time Cary or Katharine falls, we laugh like crazy people. Recently, my daughter has been showing me YouTube fail videos of people falling down in spectacular ways (apparently without getting badly hurt), and we laugh until we can’t breathe. What’s your next big thing? The book I’m writing now continues with some of the characters from my first two books, Love Walked In and Belong to Me, and it feels like such a privilege to discover who they are now. The focus is on the younger characters—Clare and Dev—who are now in their early twenties, but many of the folks from the first two books figure into the story, including Cornelia, Teo, and Viviana. For years, I hoped I’d get to see them all again, but I had no idea whether I would or not, and then one day: there they were. There’s a second storyline set in a fictional Delaware beach town in the 1950s, and it’s been challenging fun researching and writing about this time period. This novel feels like exactly the right world to be immersed in just now, and I’m falling in love with all the new characters, too. GIVEAWAY: Comment on this post by noon (EST) on Friday, December 11, to win a copy of THE PRECIOUS ONE (U.S. only). Follow The Debutante Ball on Facebook andTwitter for extra entries—just mention that you did so in your comments. We’ll choose and contact the winner on and contact the winner on Friday. Good luck! 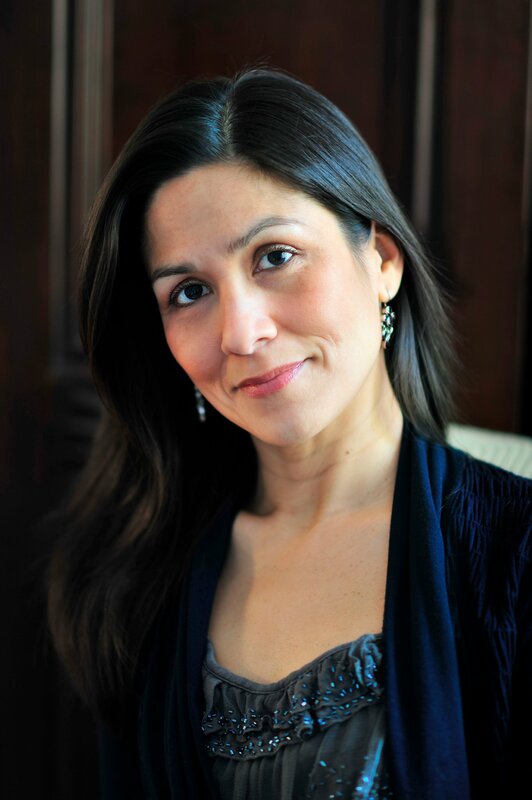 Marisa de los Santos is the New York Times bestselling author of four novels for adults, including Love Walked In and The Precious One, and two middle grade novels, Saving Lucas Biggs and Connect the Stars, co-written with her husband David Teague. She lives in Wilmington, Delaware with her husband, their two children, Charles and Annabel, and their Yorkies, Huxley and Finn. What a delightful interview! I love hearing that she thinks in metaphor and that she reads books from her childhood every night before she goes to sleep. Marisa sounds like an amazing person! I follow Debutante Ball on both FB and Twitter. I love quirky! I love how you read a few minutes each night from a children’s book! I think that is a great idea! Great Interview. I would love to read The Precious One. Thank you for the chance to win a copy. I’ve heard great things about this book. I’d love to win a copy. I’m so excited to hear about the WIP – Clare and Dev are back! Great interview! I loved Love Walked In and Belong to Me. I’m excited to read The Precious One. I’m so excited to read the new book! I absolutely adore Love Walked In and recommend it to anyone and everyone who will listen. Wow, thanks for this interview Louise, I love that Marisa reads lines from her favorite children’s books before she goes to sleep at night!! How exciting that she is writing about Clare and Dev characters from her earlier novels, now in their twenties. I want to read all of her books, and would love to win her latest! I follow the Deb ball on FB and Twitter.